Original post edited in hopes to encourage the (now 79) visitors to this thread to participate in a discussion of recipes, memories, or even stories of what might have led them to this post. Finally! I believe I’m on the path to discovering the roots and a proper name for one of our most brilliant Polish, Polish-American comfort and Lenten foods! Though, I do not believe this specialty, in its execution, to be solely indigenous to Southern Poland. I have met others that have fond memories of this wonderful comfort food that are not of Polish descent. 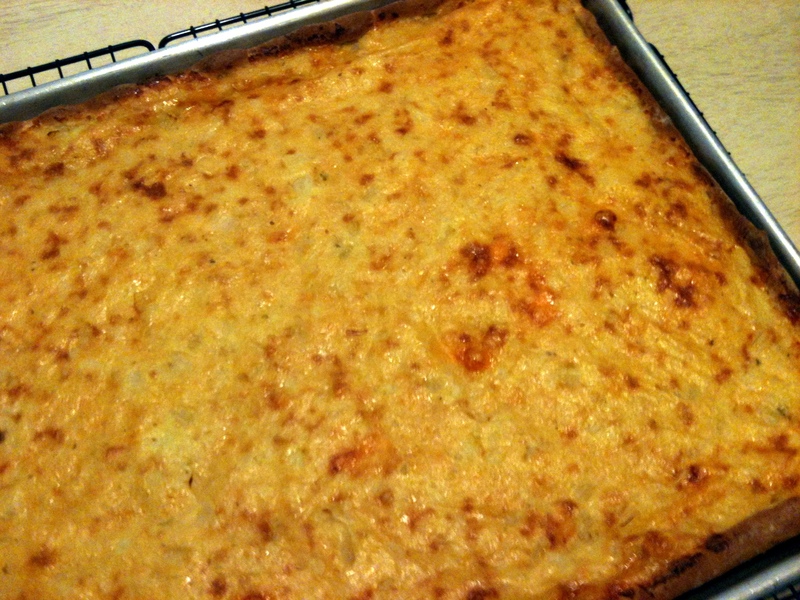 I created a post some years ago on a potato cheese bread type recipe that reportedly has several different names and is uniquely prepared, dependent on the family and the ancestry. After the original post, comments, and emails I decided to research the recipe for a point origin as well as an authentic recipe. I scoured Polish, Slovak, Czech, and Ukrainian message boards looking information. What I found were people looking for their family recipe and asking the same questions I was seeking answers for. Most of the information I found, listed specific ingredients, flavors, memories, and the yearning to find a recipe. While some of the ingredients varied, the three common ingredients were a breaded crust, potatoes, and cheese. What differed was savory vs sweet. The people who posted these threads of information, ingredients, and memories reported that their families fondly referred to this specialty as kołacz (kołoc, kolatz, kolats). Most Polish sites maintained that our recipes/memories were misguided since we were a distance of decades from our Polish-born ancestors stating that our language and memories were distorted over time. This was certainly a disappointment that left me and other contributors at an impasse. While frustrating, I was not about to give up on my search. I’ve been researching this recipe for over ten years as a hobby and not very diligently, I might add. I can’t quite blame my lack of diligence on the decade long search as much as I can attribute it to not having proper terminology and the lack of recipe submissions/information on the Internet. Just recently, I found dozens of new recipes and links to neighboring counties that covet a comparable form of this delicious dish as well. I hope that my efforts will encourage others to share their recipes, memories, traditions and stories so they may be well documented, passed on and researchable for our future generations of ancestors. This is the most valuable lesson I learned from my search. I will add the links to several the sites below.